Over the course of 2014 the IPSCJ, commissioned by Northants Police, carried out research into Anti-Social Behaviour in Northamptonshire. For a summary of the findings, click the link below. (iii) To make recommendations in relation to “what works” when responding to ASB. The report draws upon 31 semi-structured interviews with (a total of 39) stakeholders representing 22 key organisations tasked with responding to ASB in Northamptonshire. 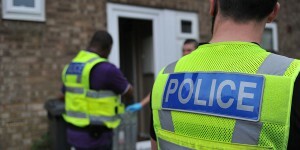 In addition, analysis of police recorded ASB incident data was undertaken.